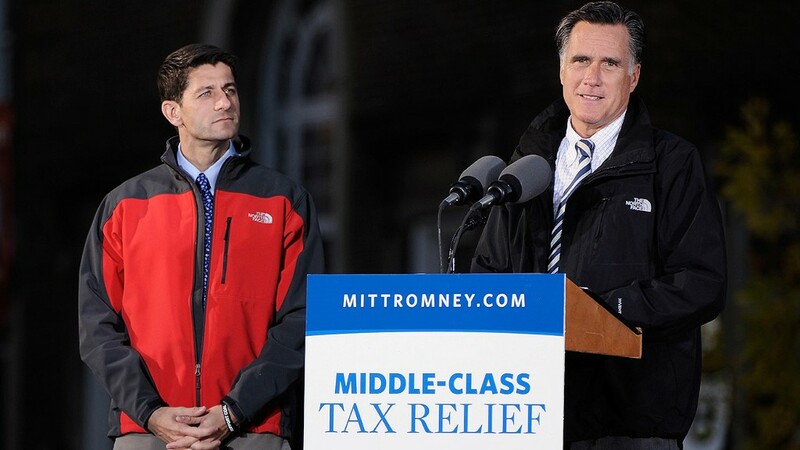 Mitt Romney and Paul Ryan both wore jackets from The North Face while campaigning in Ohio on Friday. North Face seems to have become a clear favorite of the Republican presidential ticket lately. Both Mitt Romney and Paul Ryan have been spotted on the campaign trail sporting the easily recognizable jackets from the popular outdoorsy brand, which sell for $150 to $170 each. The pair even flashed matching North Face logos when they stood side by side Friday at a rally in Lancaster, Ohio. It's a choice that North Face founder Kenneth "Hap" Klopp finds "ironic." "We started in Berkeley in the late 60s ... We were a hippie brand," said Klopp, who hasn't been in contact with the campaign. "When we started, the concept was an iconoclastic approach." Klopp said he doesn't know whether Romney and Ryan picked up the jackets simply because they liked how they looked or because they support the brand. But he hoped that it was an overt choice to align themselves with North Face's values. The company is known for its commitment to protecting the environment and creating sustainable products, while encouraging its customers to experience the outdoors. Klopp's North Face memories go back to 1968, when it had just two stores in Berkeley, California. Back then, the stores sold camping equipment made by other companies. Klopp led North Face for 20 years and sold his stake in the brand in 1988. Today, North Face is owned by the apparel company VF Corp (VFC) and manufactures its own clothing, accessories and equipment. "I think it's wonderful that the product is so well known and so widely distributed that people at that level are interested in wearing it." A North Face spokesperson said the company does not endorse either presidential campaign and didn't give the jackets directly to the candidates. Brendan Buck, a Romney spokesperson, explained the campaign's fashion choice: "They're warm jackets."